This was a crazy, but awesome wedding! Crazy because it was the day after Hurricane Michael, so I had to leave Niceville the morning of the wedding day and I barely made it on time! Thank God I did though, because it was such an amazing day. Terry + Meagan wanted to be surrounded by just their closest family and friends on their wedding. They also encouraged me the whole day to just take photos of them having fun and all laughing together (my favorite kind of couple). So take a look through some of my favorite photos and memories from their day. 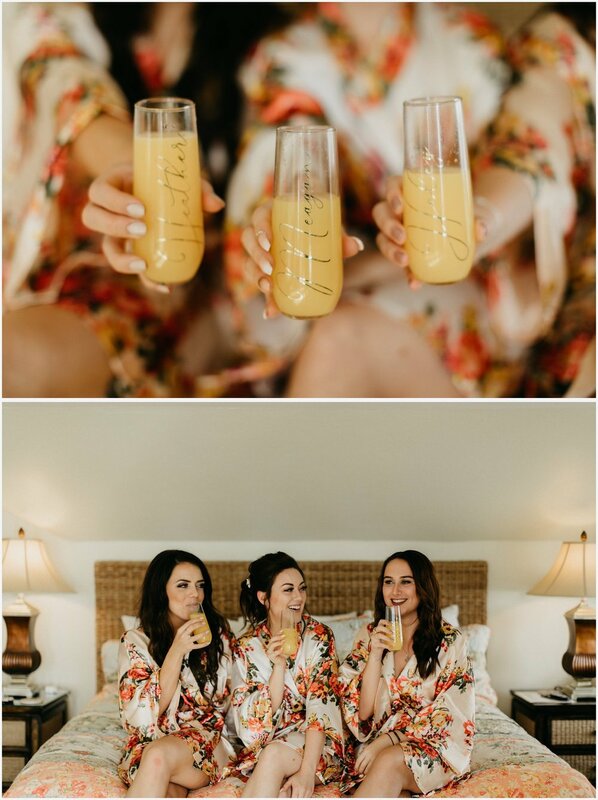 Harrington House Bed & Breakfast on Anna Maria Island was the perfect spot for Terry + Meagan’s laidback, beach wedding. The B&B was located right on the beach and they even catered the most amazing wedding dinner and treats! It was such a cute, quaint space too. So much beautiful greenery all around the property. Also, wait until you see that gazebo at night! I love a good nighttime reception, and this day did not disappoint. They sunset sky and tiny moon was the perfect backdrop to this reception. And if you know me, you know I love string lights. The ambient light really adds so much atmosphere to the environment and creates a romantic vibe for receptions. The white tent was also an amazing reflector to boost the light’s effect. When I saw this gazebo lit up with string lights, I knew I had to take Terry + Meagan under it for some fun photos. Their connection just these photos 10x’s better though. Meagan’s bubbly personality shined all day long and it made me so happy every time I saw Terry beaming at her when he caught a glance at her. So so happy that I was able to be there for them and capture all of their memories!